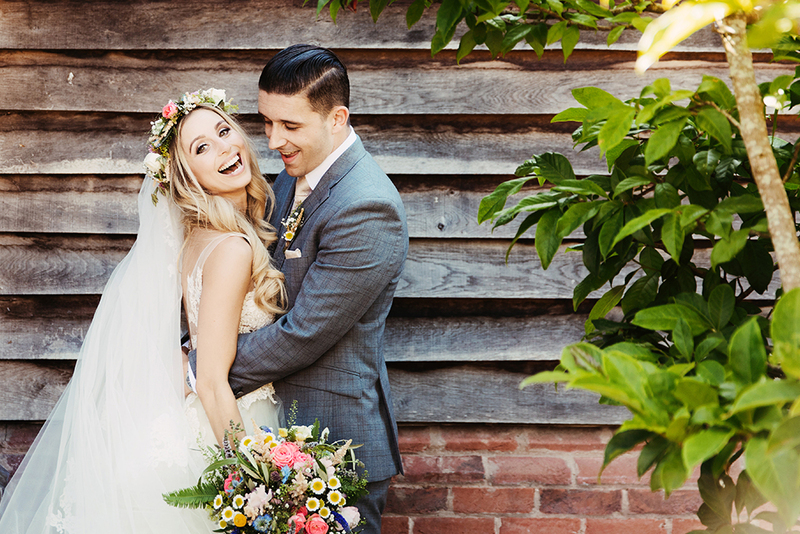 If you’re on the look out for a barn wedding venue in Cheshire, you need look no further. 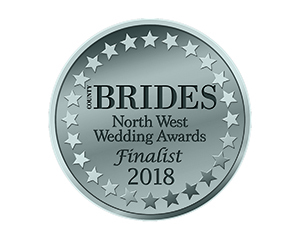 Widely considered one of the best wedding venues in the North West, Sandhole Oak Barn offers an abundance of exciting opportunities for exceptional weddings. It’s important to have a fabulous space for your wedding ceremony. After all, it’s the focus of your entire day. 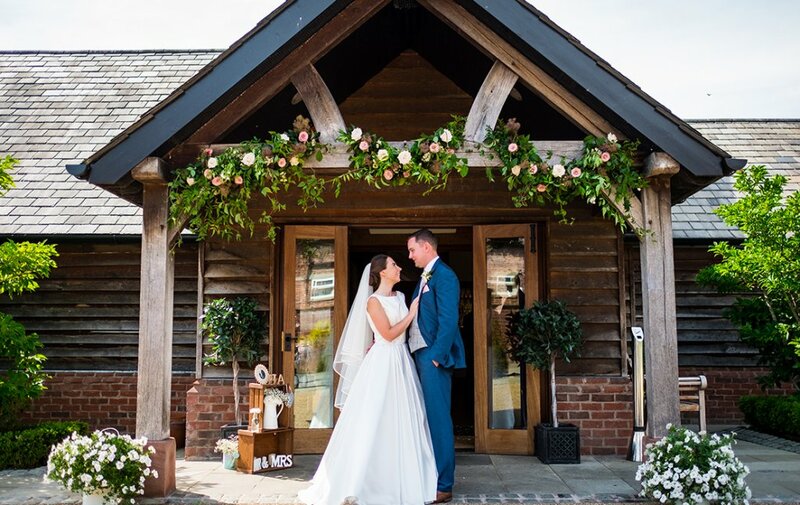 Sandhole Oak Barn offers two idyllic areas for your ‘I do’ moment, whether you choose to marry inside The Oak Barn or to say your vows outside beneath The Clock Tower. Both boast spectacular views over the lake. The Clock Tower sits on the shore and features a paved area for guests to sit. 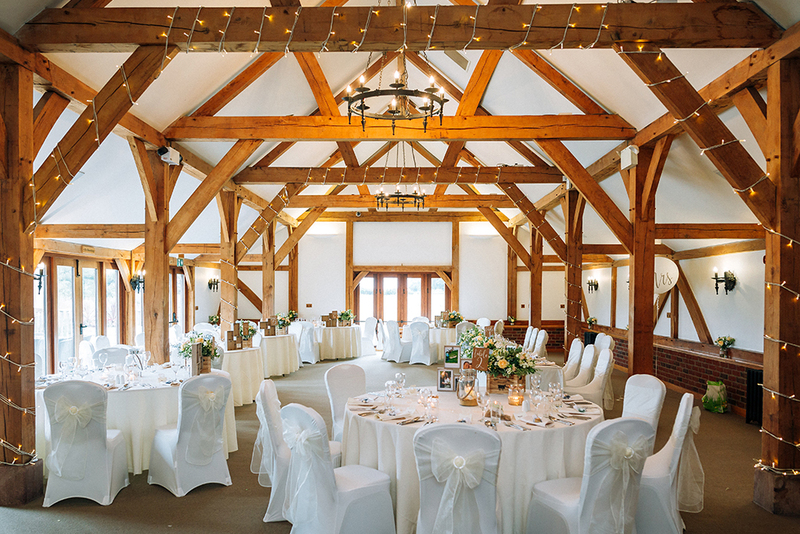 Meanwhile, the ceremony space in The Oak Barn features magnificent high ceilings, oak beams, a grand piano and adjoining verandah. Whichever you choose, we know you’ll love it! After your ceremony has taken place, at Sandhole Oak Barn we know you’ll be eager to greet your guests with a stylish drinks reception. The verandah and surrounding gardens give you the opportunity to appreciate the wonderful countryside setting, mingling with your guests while enjoying drinks and canapés. 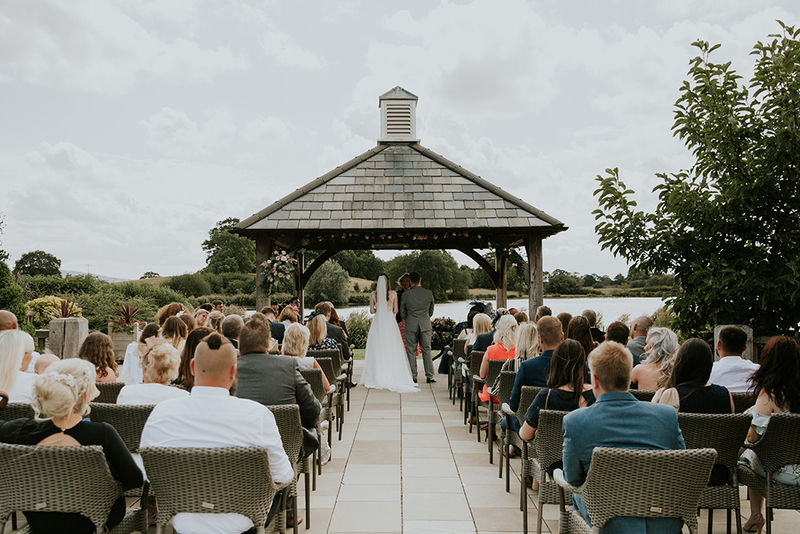 If the weather isn’t warm enough to enjoy the great outdoors, simply invite your guests to enjoy the idyllic ambience of the Ceremony Area of the Oak Barn before sitting down to dine. When it’s time to celebrate, The Oak Barn is an exceptional space for your wedding breakfast. Seating up to 140 guests and separated from the ceremony area, the design is elegantly rustic with neutral colour scheme and wrought iron chandeliers. A wall of French doors leads out on to the verandah, offering your guests wonderful views over the countryside and filling the barn with natural light. Spacious, versatile and stylish, it’s the perfect setting for your special day. 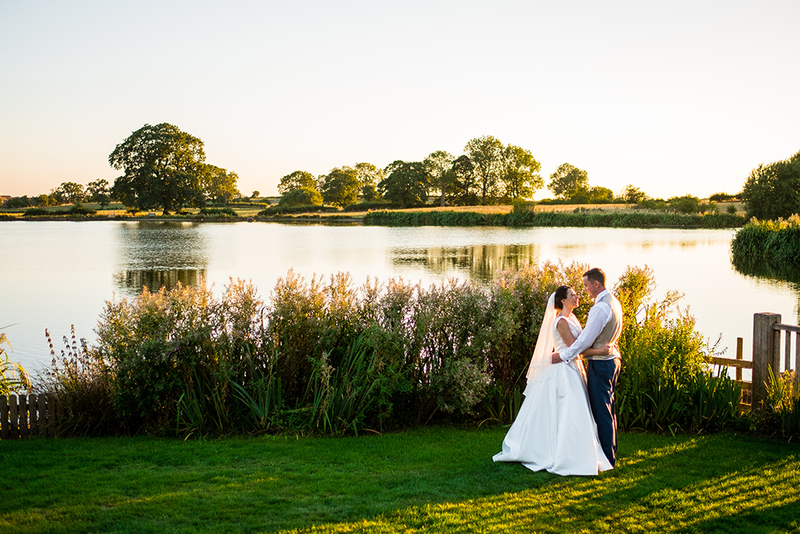 Your wedding photographs are likely to become one of your most treasured possessions and, at Sandhole Oak Barn, you’ll find plenty of beautiful backdrops for those special shots. Many couples feature the lake and The Clock Tower in their romantic photos and we hope you will also wander around the pretty, landscaped gardens. 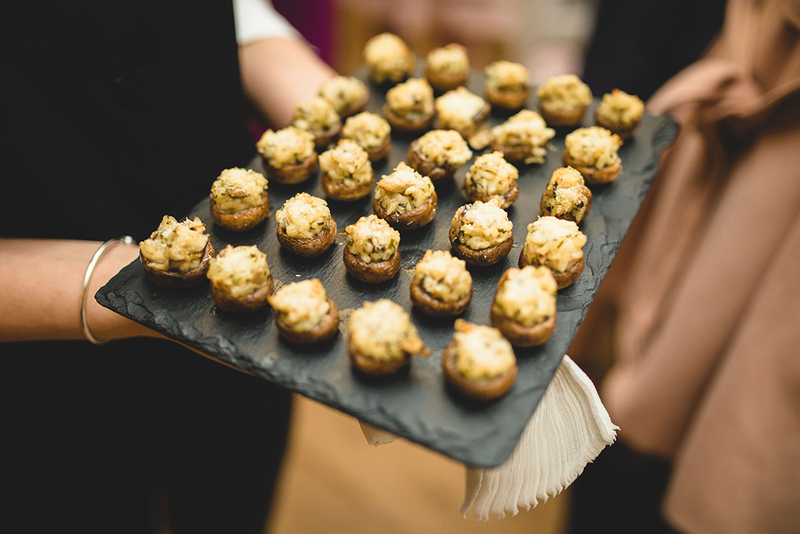 Whether you’re planning a lavish fine dining experience or have your heart set on a vintage afternoon tea, we’re delighted to work alongside Top Table as our approved caterers at Sandhole Oak Barn. With extensive, award-winning experience of event co-ordination, they will create a bespoke menu to suit your day and delight your guests. Of course, all this and more are just for you on your wedding day. 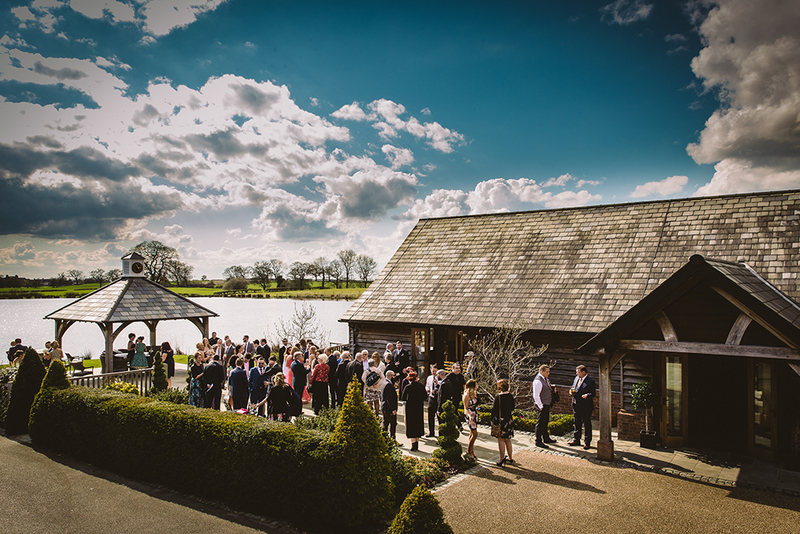 At Sandhole Oak Barn, you won’t bump in to another bride or share the space with other wedding guests. We’re delighted to offer this unique place exclusively for you to celebrate your perfect wedding day. 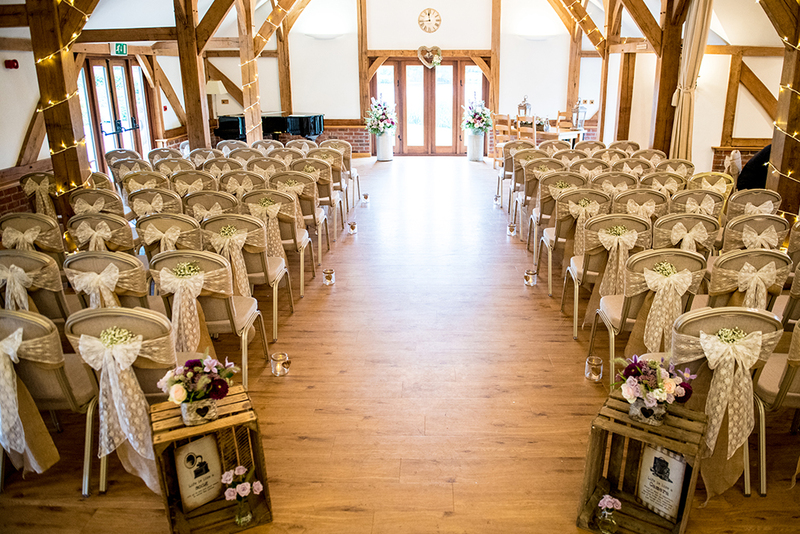 If you would like to see Sandhole Oak Barn for yourself, we would be delighted to show you around. Simply call our friendly team on 01260 540007/224215 or get in touch online.